The OGC CityGML SWG, the SIG 3D and AIT will host a joint international workshop regarding the development of a CityGML ADE for utility networks. It will be the opportunity to gather requirements, ideas, suggestions, and positive as well as negative experience from CityGML users, data producers, software vendors, and scientists developing and using a CityGML UtilityNetworks ADE. Aim of the workshop is to discuss and define a harmonized version of a CityGML UtilityNetworks ADE and other development tools like libraries for wide spread use in the development of applications based on utility networks. On Thursday evening a joint dinner will take place in a restaurant or beer cellar in Vienna city centre. Please check the agenda for details on directions how to get there. 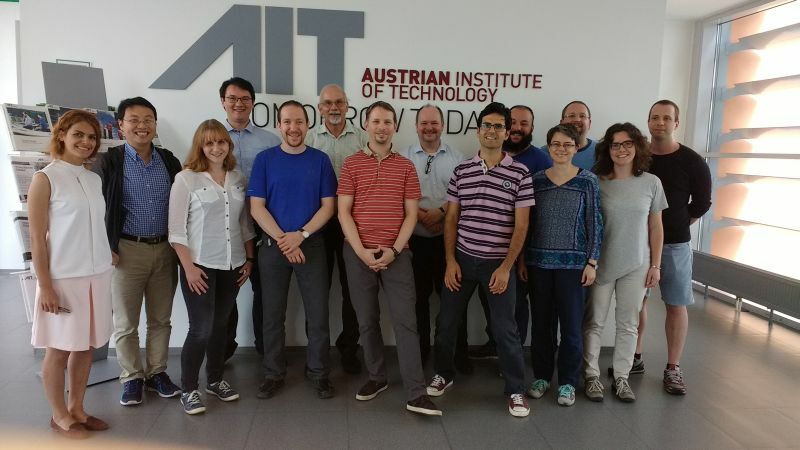 The workshop will take place on Friday 30 June 2017 at AIT, the Austrian Institute of Technology in Vienna, Austria. Further information on the venue can be found here: Venue. Please send an e-mail with Name / Company / E-mail address to Giorgio Agugiaro. Registration is necessary. Be aware that the number of participants is limited. The deadline for registration is: Friday 2017-06-24. The event is sponsored by AIT. Hence, participation is free of charge including coffee breaks. Costs for travel and accommodation, as well as participation to the dinner on Thursday, will be at the participants' own expense. For any questions regarding the workshop, please contact Giorgio Agugiaro or Edmund Widl. This page was last modified on 19 September 2017, at 10:38.